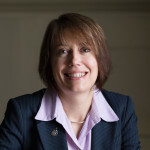 Julie Long qualified as a Chartered Legal Executive in 1996 and joined us in 2011. Julie has a wealth of experience gained working in the legal profession since the late 1980s. Julie has extensive advocacy experience having frequently appeared in the Lower Courts, in particular the County Court. Julie works in in our litigation team, primarily in our Gloucester office. She deals with serious personal injury, complex clinical negligence and fatal accident claims. Julie’s extensive experience enables her to assist a wide range of clients. Julie regularly helps clients with their rehabilitation goals. She is a firm believer in obtaining Immediate Needs Assessments (INAs) whenever appropriate and secures early interim payments if possible. Working with insurers to facilitate early therapeutic intervention and where appropriate arranging physical therapies and other treatments is an important aspect of Julie’s role. Following settlement of claims Julie also works closely with our Court of Protection team to ensure on-going excellent case management, care, accommodation, therapies and equipment for her clients. Julie has ridden a motorbike for many years and fully understands the difficulties and dangers posed to motorcyclists by other road users and road conditions. Being a keen motorcyclist proves exceedingly helpful when assessing motorcycle accident claims. In all areas of work Julie looks for practical solutions to her clients’ problems. Listening carefully to her clients and their families is the perfect starting point from which to understand and then act upon their concerns and instructions. Julie is married with two daughters. Away from work she enjoys spending time with her family. Besides riding her motorbike, she is a keen archer and she enjoys taking her dog to agility classes. Julie fully understands the impact of serious injury or illness on the dynamics of family life. She makes every effort to ensure that the lives of her clients and their families are as comfortable as possible following her involvement in their legal matters.